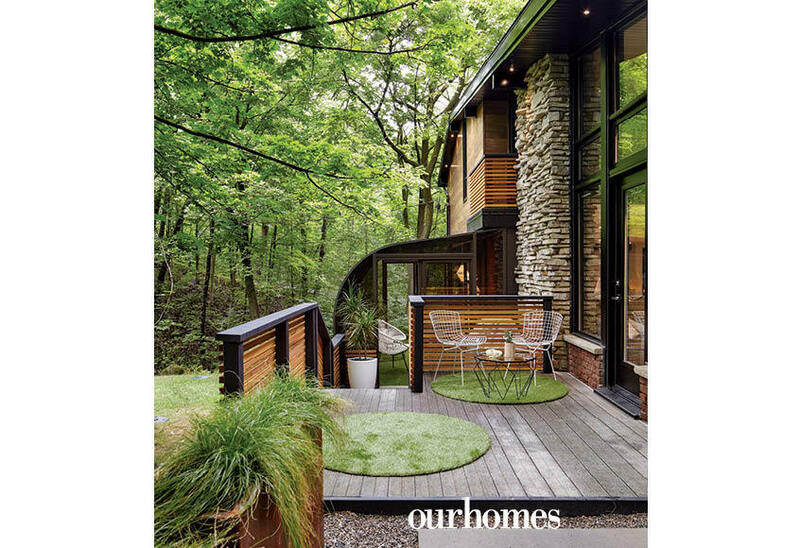 A version of this article originally appeared in the Fall 2018 issue of OUR HOMES Hamilton and Area, p.44. Find local businesses in our Hamilton directory. 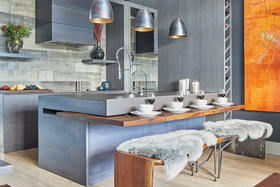 Andre Gagnon's newly renovated home is a serene retreat that represents a huge accomplishment. 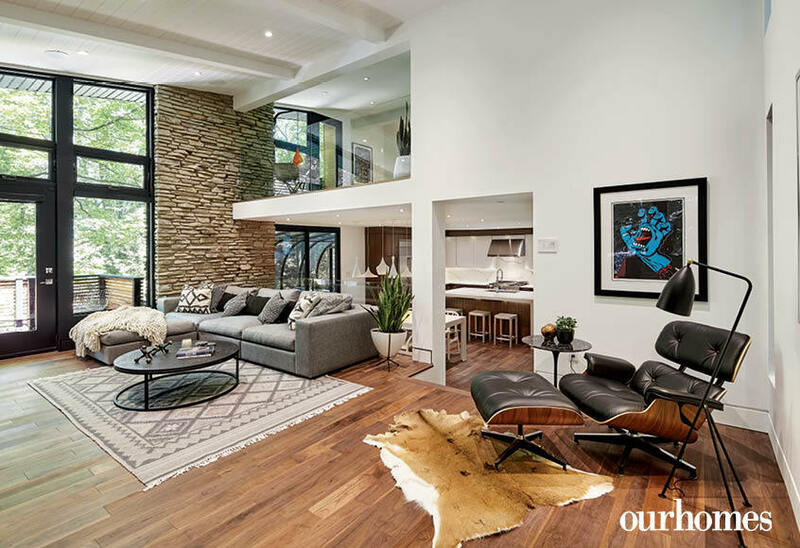 During the past year and a half, Andre worked tirelessly on the breathtaking 1960s property located off Waterdown Road outside Hamilton. Andre was aiming for a Californian vibe, influenced by his many trips to Palm Springs. 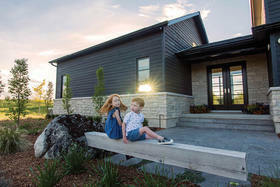 After gutting the interior and removing the barn beams and dark wood panelling, a brighter, lighter version of the home emerged. 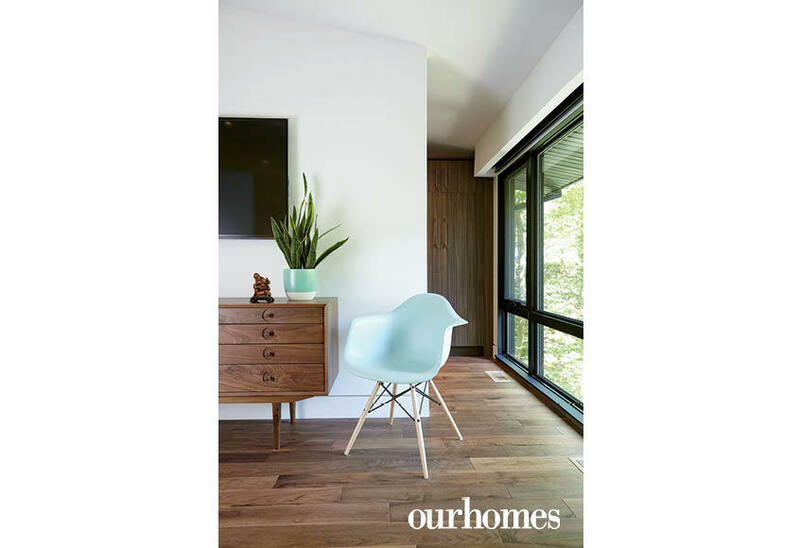 Interior choices for the three-bedroom, three-bathroom place include comfortable furniture in neutral, calming colours. 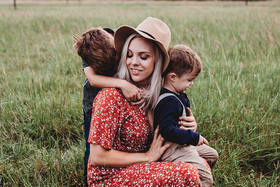 While some pieces are new, his interest in mid-century antiques, including those discovered at the biannual Christie Antique & Vintage Show, are thoughtfully placed, adding warmth and character. New windows reveal stunning vistas, but for privacy, Girgenti Custom Window Treatments installed blinds in some rooms. 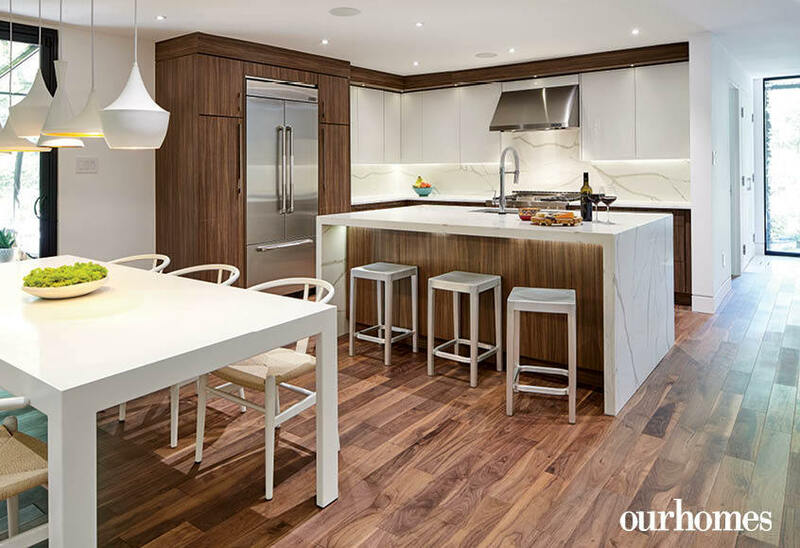 The sleek new kitchen is organized with modern appliances and a beautiful quartz island. 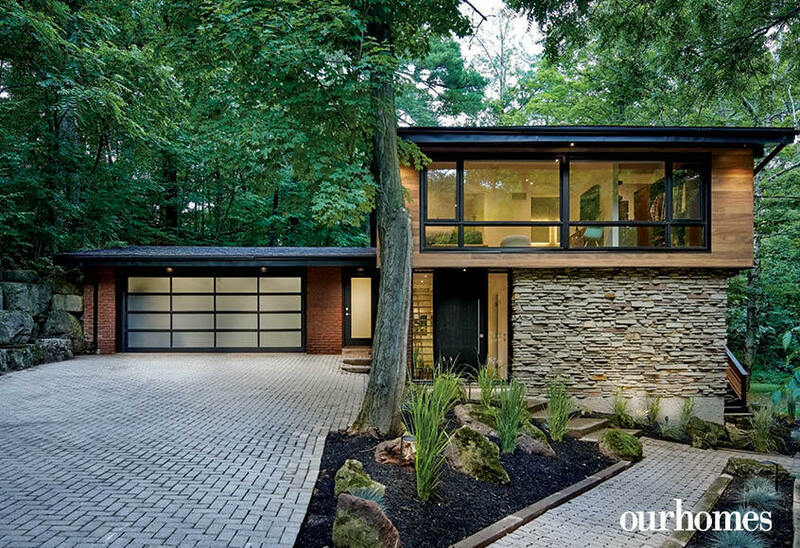 Nestled on a two-acre wooded lot of a former farm property, this 1960s Hamilton-area home is renowned for its use of wood, stone and windows that bring nature inside. 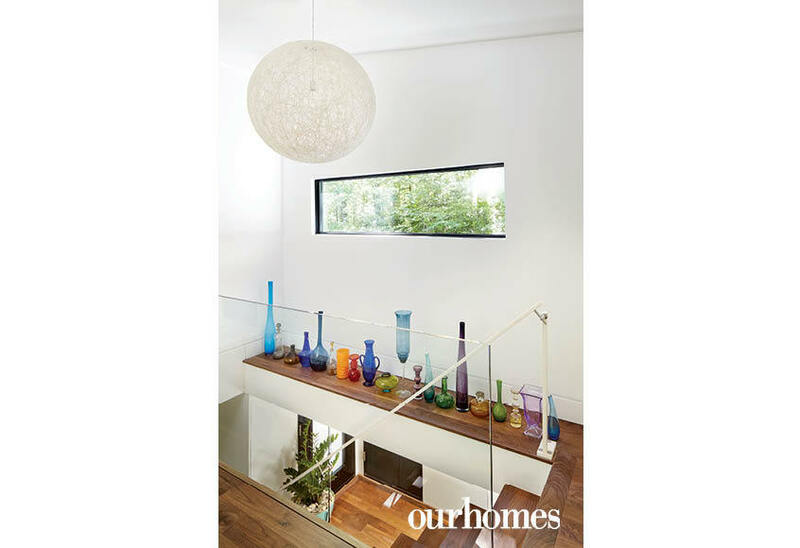 Updated with even larger windows and a contemporary garage door, the home is a modern masterpiece. 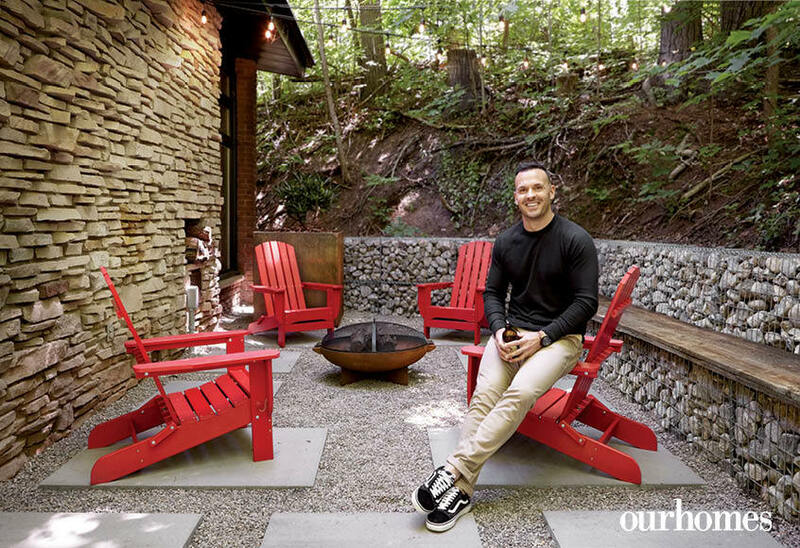 Homeowner Andre Gagnon enjoys the rustic backyard fire pit where Gabion-basket retaining walls reinforce the sloped terrain. Upper and lower decks got new cedar railings to update the look. 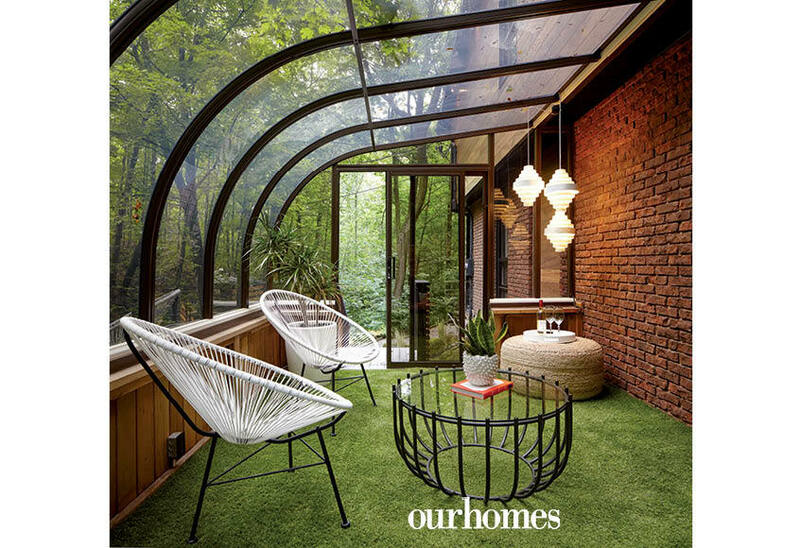 Round, green outdoor rugs complement the home's forrest setting. The solarium has a heater, so can be used spring through fall, making the most of the natural surrounds. 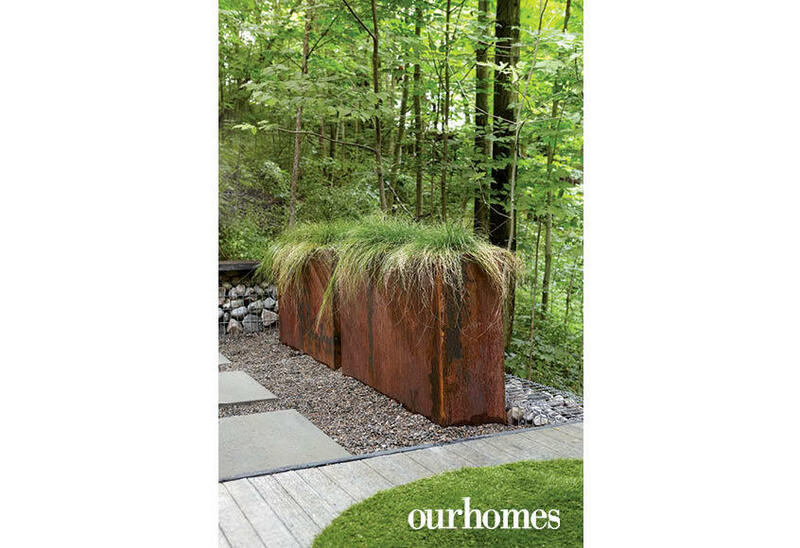 Andre Gagnon designed custom planters for the fire pit area and rusted them himself. Andre added a 22-foot steel beam in order to remove a kitchen post. 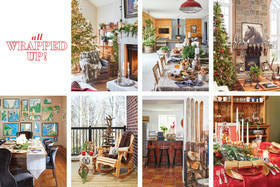 Replacing pine walls and barn board ceilings brightened the interior considerably. 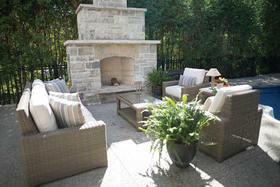 Original stonework melds well with the updated styling. The sleek kitchen is clean and organized with modern appliances. A beautiful quartz island from is precisely installed by matching and connecting the veins on the stunning centrepiece. 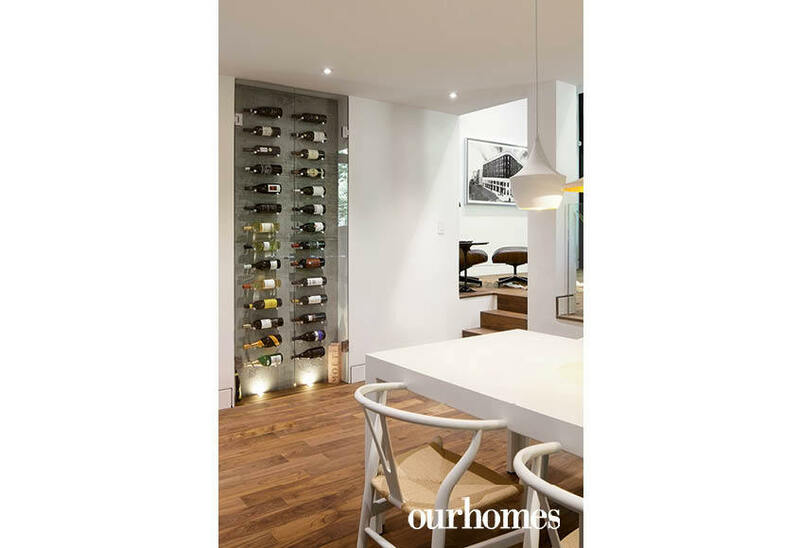 A wine fridge is inset behind glass in the dining area. 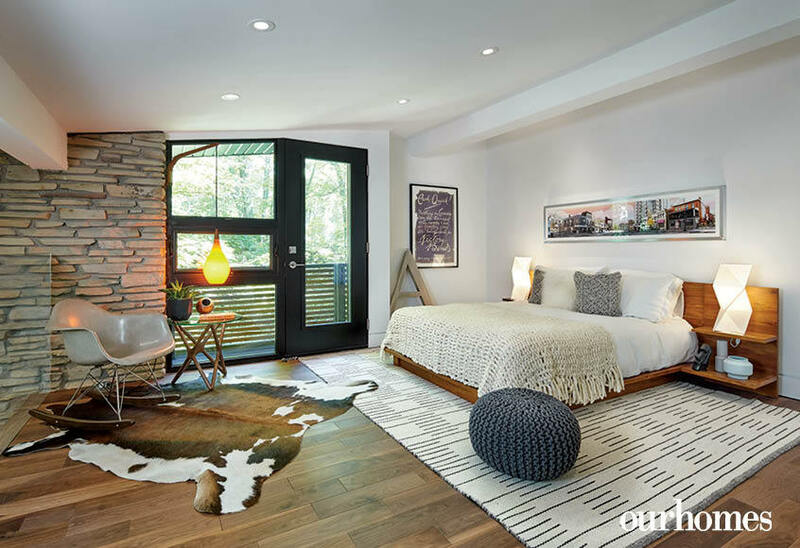 Matte walnut floors were laid throughout. 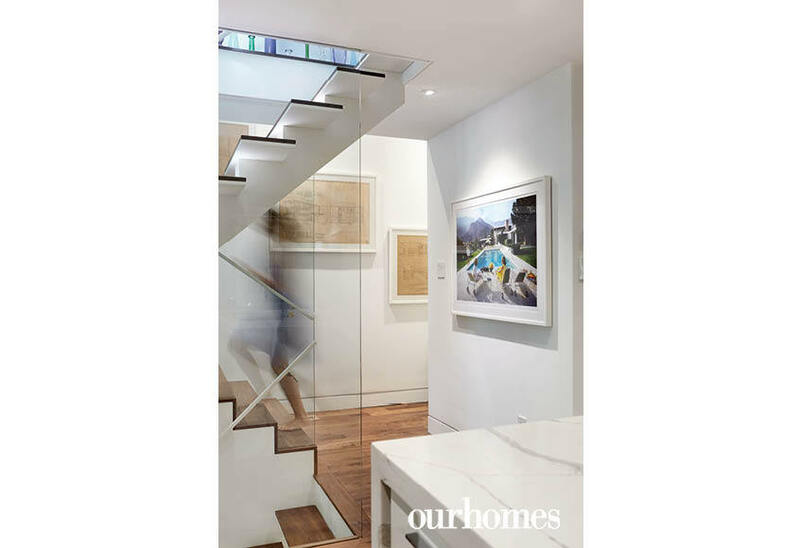 The former wooden staircase in the entranceway was replaced with an impressive aluminum and walnut open-tread design. 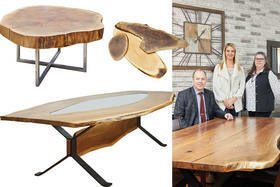 Using steel stringers with glass on either side it definitely makes a bold design statement. The home’s original hand-drawn architectural plans from 1964 are framed and displayed as a testament to the former owner’s ingenuity. Andre found most of his eye-catching glassware collection at antique shops along Ottawa Street in Hamilton. Recessed automated blinds from Girgenti Custom Window Treatments allow for maximum views from the master bedroom, where much larger windows have been installed. The guest bedroom is simultaneously retro and earthy. The modern master bath has heated floors, concealed drains and hidden air vents. 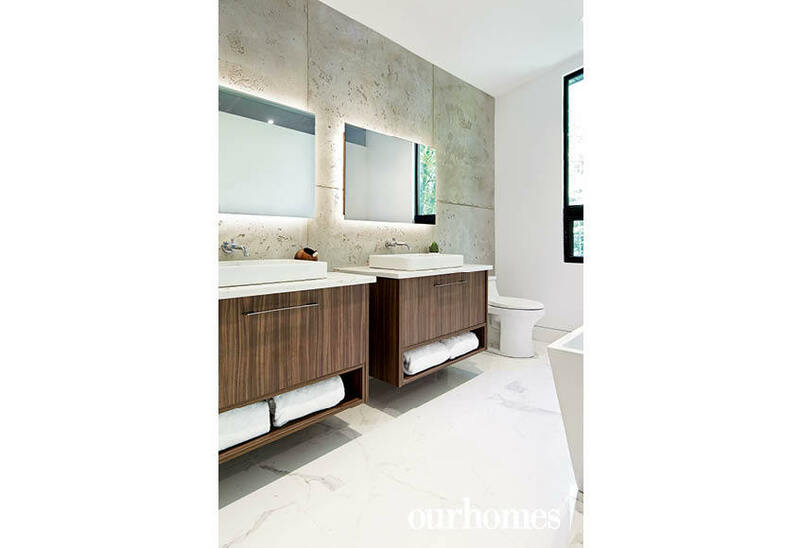 Four-by-four concrete-like tile slabs serve as the backdrop for the vanities in the bathroom, creating a nostalgic, industrial look.